Each week we meet for a parish prayer meeting. We want to spend time together praying for the concerns of our area and the development of our church. I have often heard it said that “Prayer is the engine room of the Church”. If prayer is the engine room, then we the congregation, are the ones that provide the fuel for the engine room. As a congregations, we pray in many different ways; in praise and thanksgiving for God’s goodness and mercy, in gratitude for the answer to prayers, for healing, for guidance and for the needs of the Church. St Stephen’s has many things for which to praise God and to give thanks. The Prayer Meeting has been involved in praying, along with others in the church, for good rains in Kondoa so our friends there may have food to eat, for the ongoing success of Messy Church, Children’s Church, Second Chance Shop, the 2nd Space, the Alpha Course, the Hope Project as well as the many activities St Stephen’s is committed to. As a church we have ongoing and specific needs, including for the special needs of the congregation, other activities underway in that time frame and for the people on the prayer list in the Kit sheet for healing. 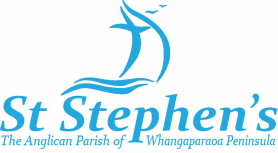 We have seen God’s faithfulness in answering prayers and growing the local and international outreach for St. Stephens. Each time we give testimony in the prayer meeting about the good things God has done in answer to our prayers. Come and hear what God is doing in our midst! At this time we are a small group and would welcome you to come and join us. You may pray in any way that is comfortable to you. Some of us pray out loud and some silently. It is up to you. Your presence would be welcomed to lift up our ongoing needs in prayer and to swell our praise, to the glory of God.